Yo Yo Honey Singh was taken by surprise and thanked the singers as he took to his social media for the love showered for him, ” Thanks for the love and respect in “Yo Yo” song. 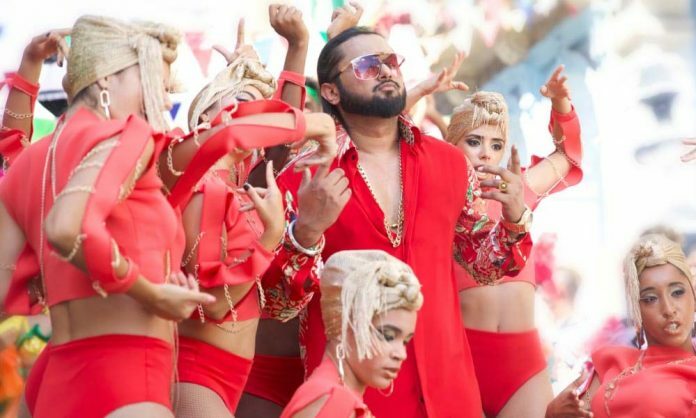 With the comeback song ‘Makhna’, Yo Yo Honey Singh has again spilled the magic all over again garnering a humungous response around the world witnessing millions of views on YouTube. Makhna which released on 21st December under the Label T-series has been creating waves amongst the masses. Recently, Yo Yo Honey Singh bagged the ‘Song of The Year’ Award for his chartbuster song ‘Dil Chori’ at recent Music Award held in Mumbai.